One of the biggest advantages of digital photography, as opposed to film, is that you can change ISO on the fly. Most photographers today probably don’t even remember the days when you had to choose the speed of the film (roughly equivalent to ISO – the light sensitivity of your digital sensor) and then shoot the entire roll at the same speed. What a drag being stuck at one film speed! 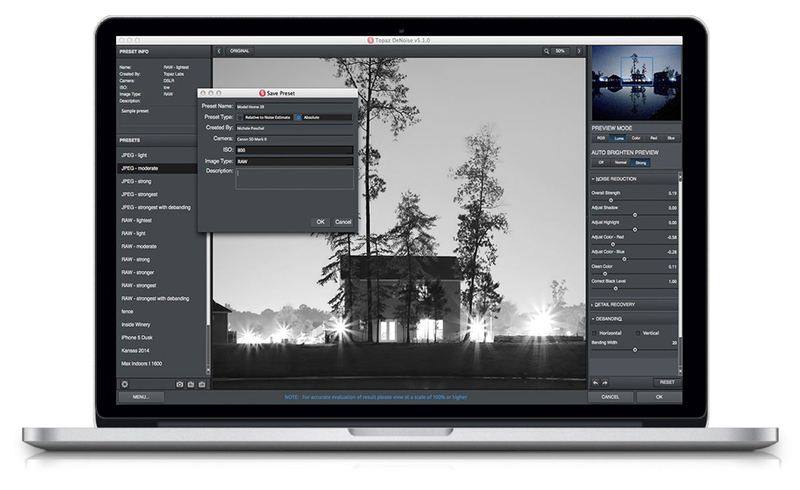 Now we can change ISO with each image we make. That’s super handy. There are many situations when a really high ISO is useful. For example, in wildlife photography you need a very fast shutter speed to freeze the motion. If you’re already using the widest aperture available to you and you still need a faster shutter speed, the only option is to increase the ISO. Or when photographing in low light situations without a tripod, using a high ISO means getting the shot when otherwise you wouldn’t have enough light to make an image at all. But there is a downside to using a high ISO and that downside is called noise. Noise is dissonant pixels which look like little dots resulting in an image with lower sharpness and quality. In the old days, we had the same problem with fast film, and we called the problem grain. Another thing that causes noise is a very long shutter speed. Even with a relatively low ISO, long shutter speeds can cause a significant amount of noise. Fortunately, in the digital age the solution is simple with some of the tools that are available to us. 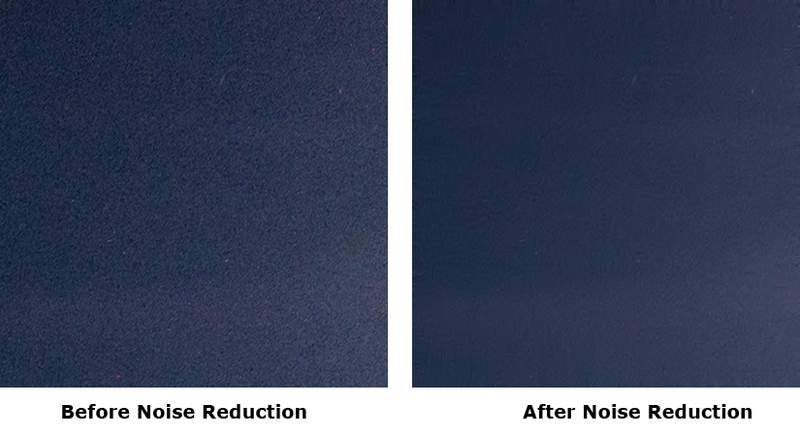 I’ve tried quite a few of the various noise reduction tools and my favourite is Topaz DeNoise because it analyzes the image and reduces noise only in the areas where it is needed thereby retaining detail in the more complex parts of the photo. Take for example this image I made at night in a ghost town in Nevada. It is a 30 second exposure taken at ISO 400. A relatively low ISO, but a long shutter speed which caused significant noise in the image. Below are sections of the photo after I did some processing (which increased the noise even further). These sections are shown at 100% so you can clearly see the noise. On the left is the before version and on the right is the version after Topaz DeNoise was applied. Notice how the sky has quite a bit of noise in it which was reduced by Topaz DeNoise. But the section that contains lots of detail was left virtually untouched and still retains a lot of detail. 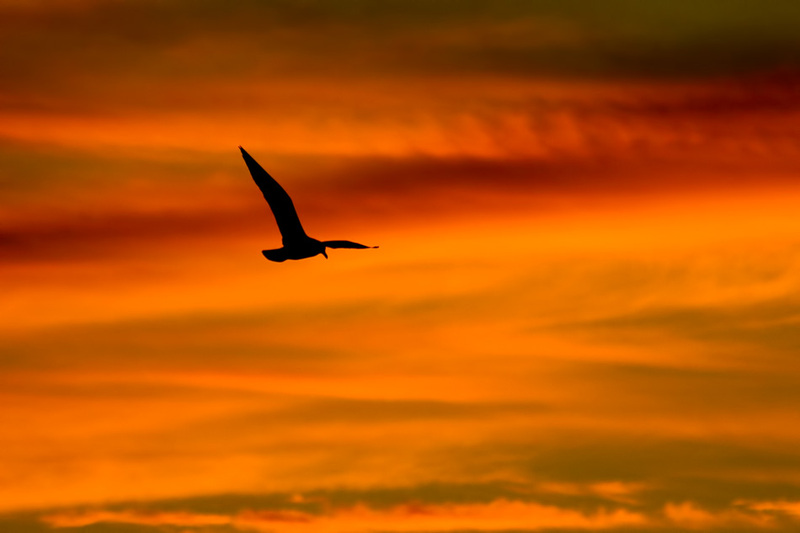 This is a photo I made during an incredible sunset at the Salton Sea in California. Because the light level was low and my aperture was already open as far as it would go, I increased the ISO to 1250 so that I could get the very fast shutter speed I needed to freeze the motion of the bird. Below is the bottom right corner of the image shown at 100% before and after Topaz DeNoise was applied. Notice in the original photo on the left all the little magenta coloured dots – that is colour noise. Since there was more colour noise in this image than normal, I was able to increase the colour noise slider without touching the overall amount of noise reduction. 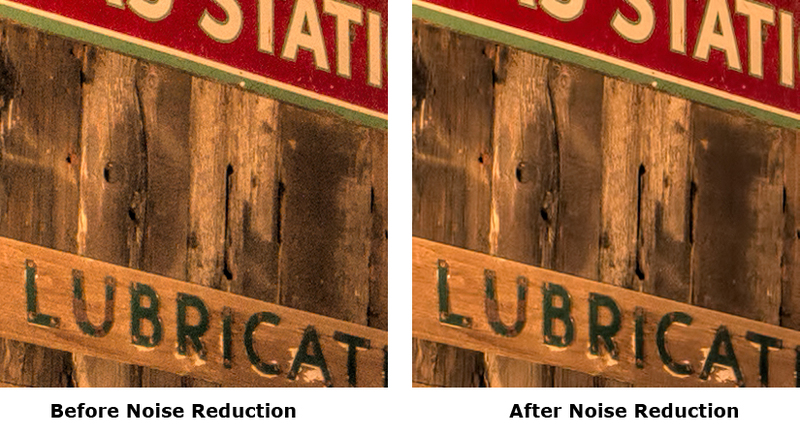 You can also apply noise reduction, controlling the colour and overall noise reduction separately, using Lightroom. But I find that Topaz DeNoise is far superior at retaining detail in the parts of the image that need it so I don’t need to selectively apply noise reduction by using layer masks. It’s quick and accurate leaving you with an image that is sharp and clean. Here’s a peek inside so you can see what the user interface looks like. If you use any of the other Topaz plugins, it will be familiar because they all work the same way with presets on the left and sliders that give you custom control on the right. 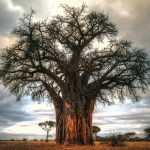 In the latest version, Topaz Denoise 6, you can now use it as a stand alone application, so you don’t even need Lightroom or Photoshop to use it (although you can still use it as a plugin that way if you want). 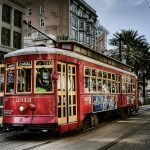 There are also dozens of camera specific presets and multiple ISO settings for each camera to help you get your noise reduction settings just right. 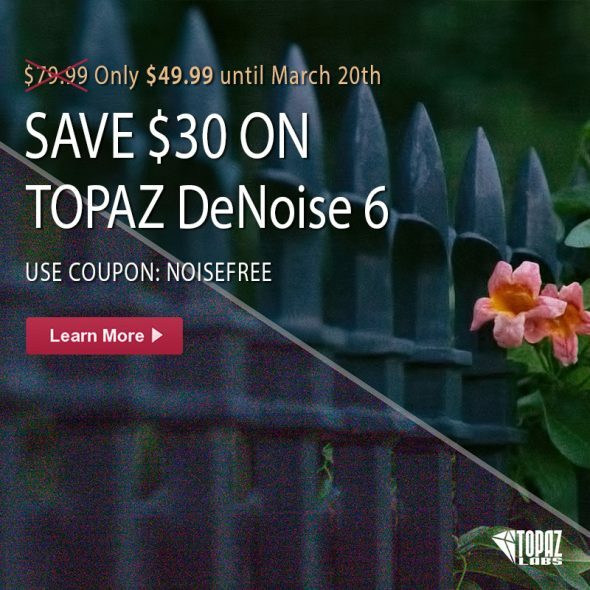 From February 24 to March 20, 2016, you can pick up a copy of Topaz DeNoise and get $30 off bringing the price down to only $49.99. I recommend that you pick up a free trial version and try it out for yourself. There’s nothing like trying it on your own photos and seeing the results before you invest. If you like it, you can use the coupon code NOISEFREE to get your discount. 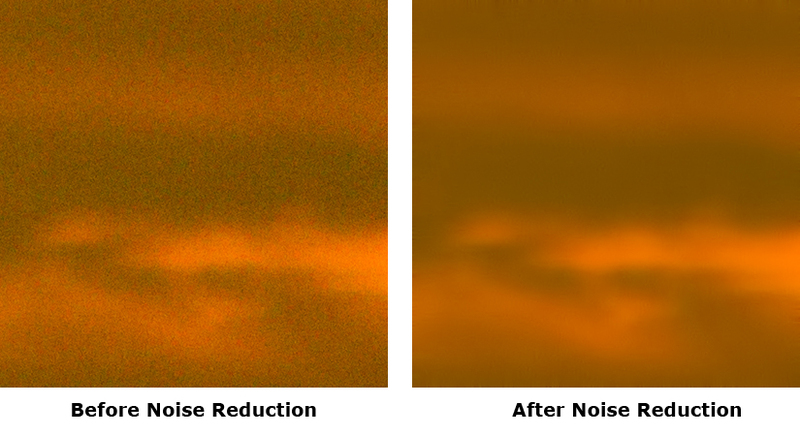 Find out more about Topaz DeNoise. Hi Ron, well, I use Topaz DeNoise all the time 🙂 I only recommend products that I actually use myself and believe in.